How long have there been wineries and cideries on the North Olympic Peninsula of Washington? North Olympic Peninsula Wineries have been here for decades, making our area one of the oldest winery regions in the State. Names now legendary in Washington wine history, like Romeo Conca and Gene Neuharth, followed their passion and pioneering spirit to locate their wineries here in Western Washington. Today, there are seven of us with more in the planning stages. Wineries as unique as our Peninsula, and as awarded as any in the Northwest, are here for your exploration and enjoyment. North Olympic Peninsula Wineries’ Grapes are both grown locally and brought in from Eastern Washington vineyards. We remind our visitors that “Washington Wine Country” is where the wine is made and not just where the grapes are grown, and many of the apples used to make cider are locally grown on the Peninsula. More Washington vineyards and cideries are now popping up on the Olympic Peninsula and we are looking forward to these sources playing a larger role in our wineries. 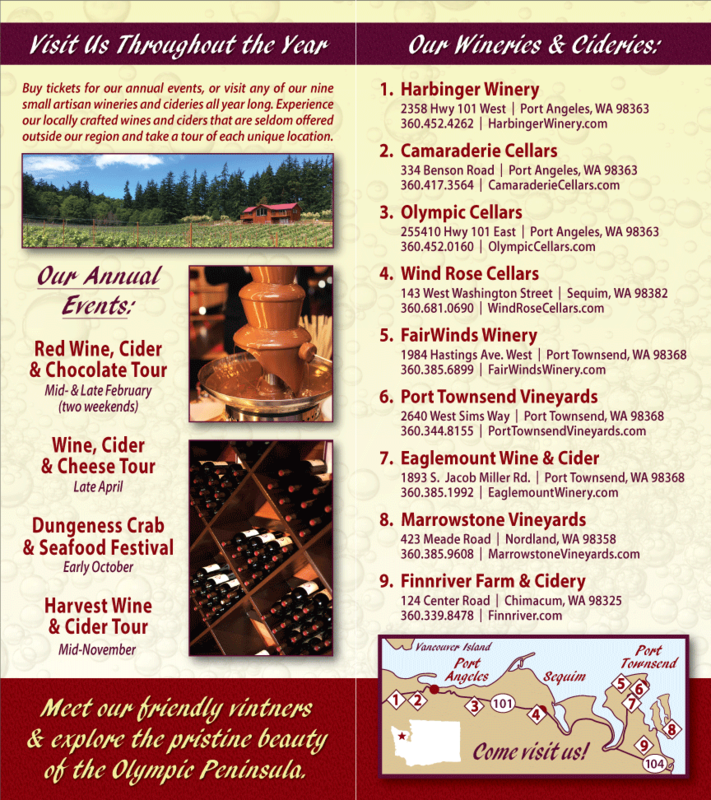 Isn’t it unusual to have wineries on the North Olympic Peninsula? Some might think so, but of the over 800 wineries in Washington State, some 400 are in Western Washington (on the west side of the Cascades), including our own members. 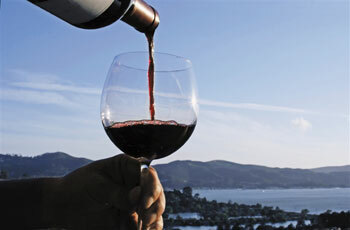 The first bonded winery in Washington was located on the Olympic Peninsula and wineries as large as Chateau Ste. Michelle have been in the Puget Sound region for years. We love it here. We might be a ways from some of the grapes, but the wine-friendly weather here is the envy of our wine-making friends in Eastern Washington. Call them in January or August and ask them! 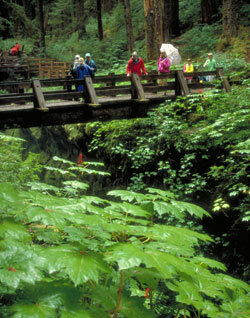 What other things are there to do on the Olympic Peninsula? Festivals celebrating the arts, music, lavender fields, and the home of “Dungeness” crab, attract thousands. First rate B&B’s and a quality restaurant scene make for an experience that will keep you coming back. You can’t see it all in just one trip. What should I visit while on the Olympic Peninsula? We have a major “wow” factor here in this corner of Washinton! See for yourself. The North Olympic Peninsula is a microcosm of the whole Northwest and it holds mountains, shore, “rain shadow”, sunshine and rain forest cathedrals that draw travelers from all around the world. The closeness of each of these virtually unique regional trophies validates the conclusions of ecologists, scientists, and vacationers. This is a place set apart. 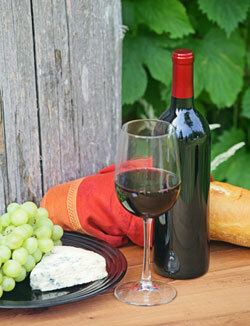 Wine and the Local Cuisine? A major “yum” factor is here too. Taste for yourself. North Olympic Peninsula Wineries Wine tasting is fun on its own, but wine touring is only a part of a life style that hunts out all the good things in a region. Discovering a local cheese or bread or a new wine favorite combined with just the right place for an impromptu picnic are the parts of an outing that you take home as memories and “can’t wait to tell …” stories. See our page on local cuisine for more ideas on fresh produce, berry picking, fields of flowers to roam in, and where to get the best picnic supplies or restaurant meals. We are a scenic ferry trip on a Washington State Ferry and less than a half a tank of gas will get you from the Puget Sound area to here. Or take a leisurely drive up the winding shoreline of Hood Canal. It’s worth it in all seasons. See our travel and links page for details.